We start with the understanding that you already know how to go LIVE in EasyWebinar. If needed you can reference our training on going live. 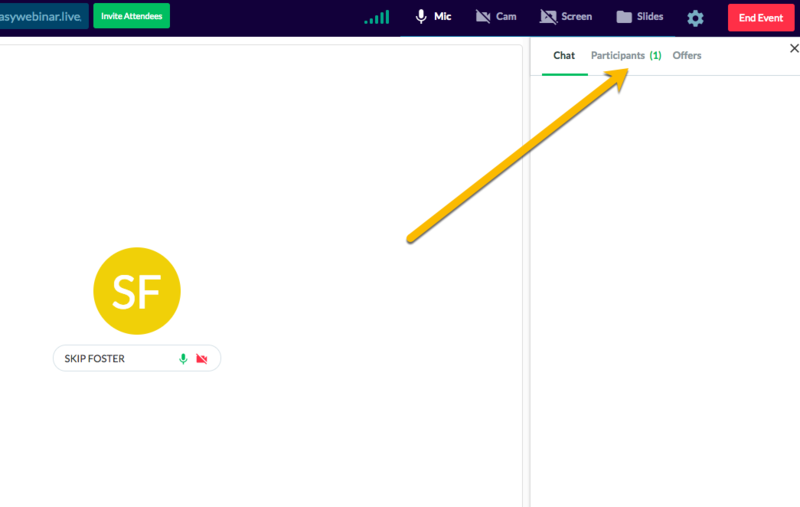 Step 1 Give you co-host access with your EasyWebinar Live link. You can email this or send it through chat. 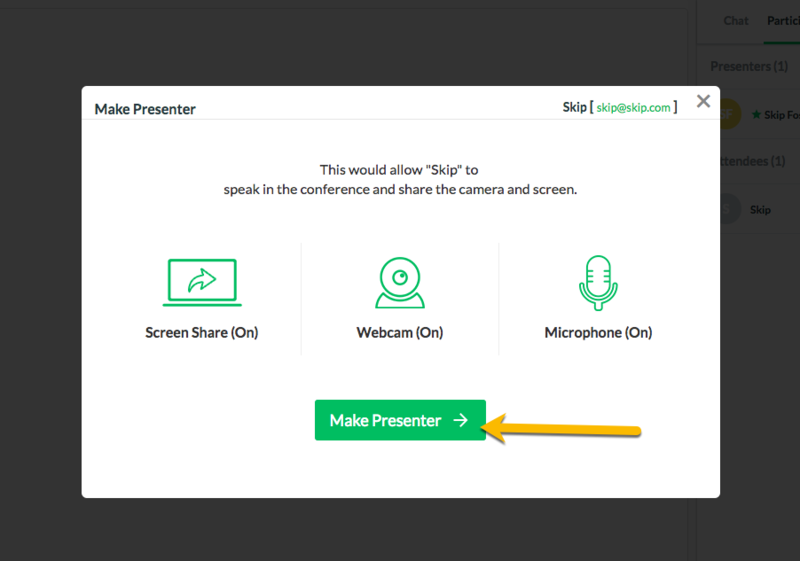 Your co-presenter or interviewee will need this link to join your webinar as a presenter. 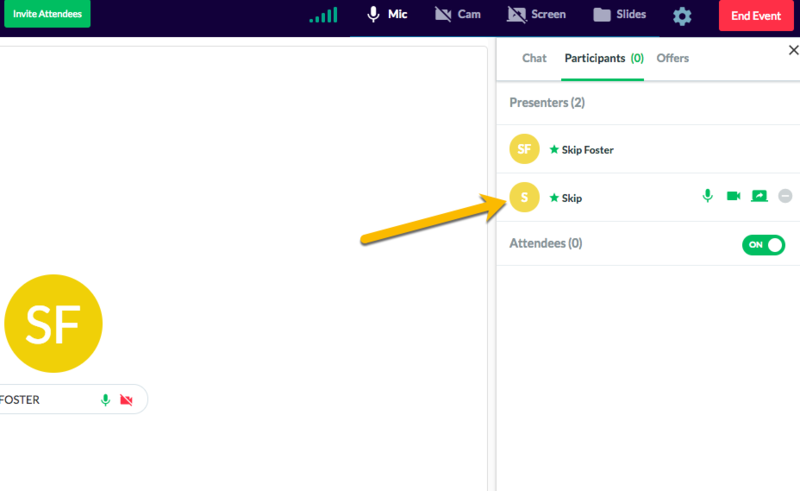 Step 2 Keep an eye out for them to arrive by clicking on the presenter tab in the chat box. Step 3 Your co-host will arrive in the room as an attendee. To elevate their status to presenter you need to click on the icon next to their name. Step 4 Click to make your co-host a presenter. After clicking on the icon above a dialog box will appear. 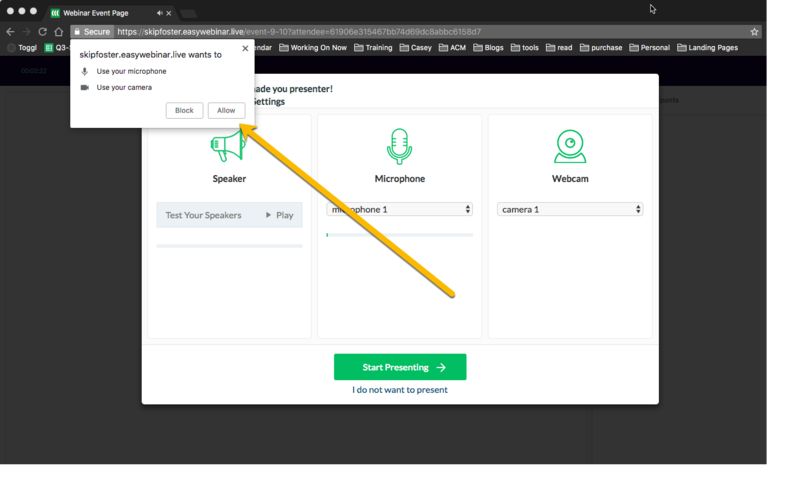 You have the option to control how they enter the webinar room. There are more steps, but they need to be done by the co-host. See steps below. 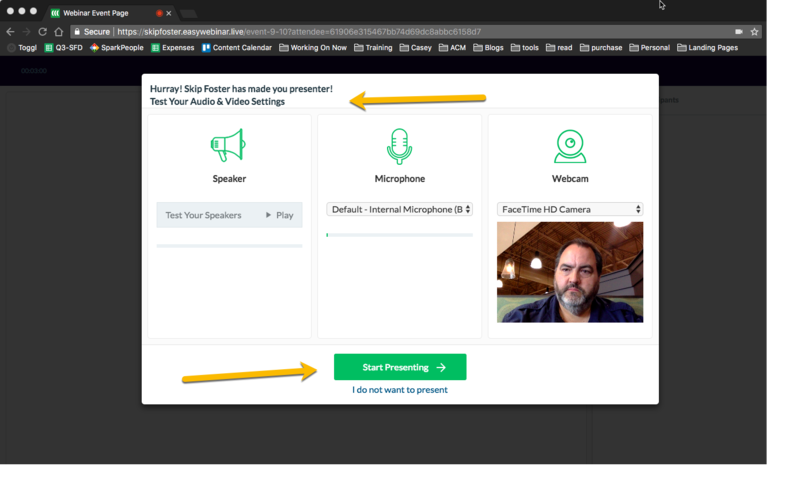 Step 6 Co-Host must accept authority to enter the webinar as a presenter. 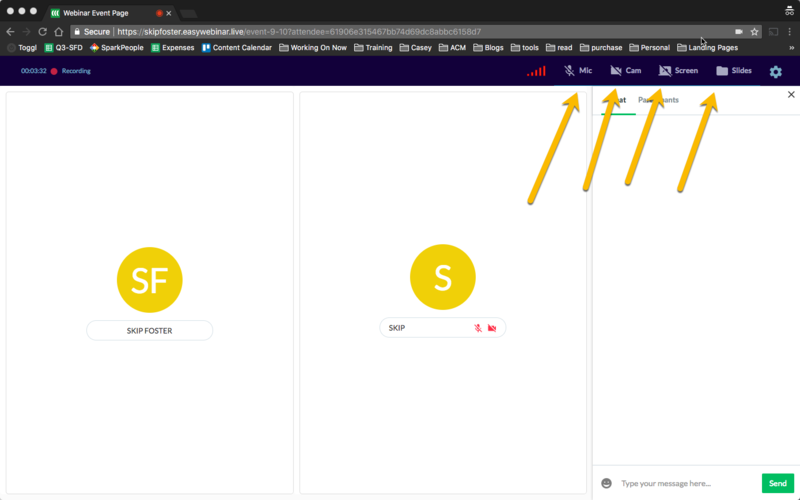 The co-host must approve the browser notification shown below to allow the browser to access the camera and microphone if asked. The browser needs permission from the user. 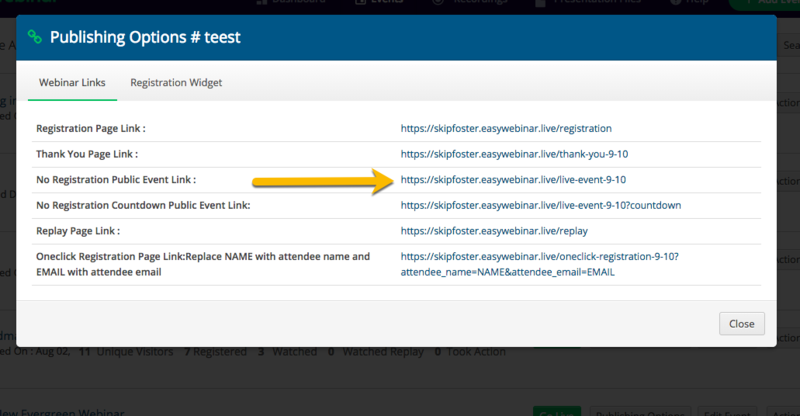 After permission is granted to the browser click on the "Start Presenting" button to complete the connection. Step 7 Co-Presenter has options like the admin to share screen etc. 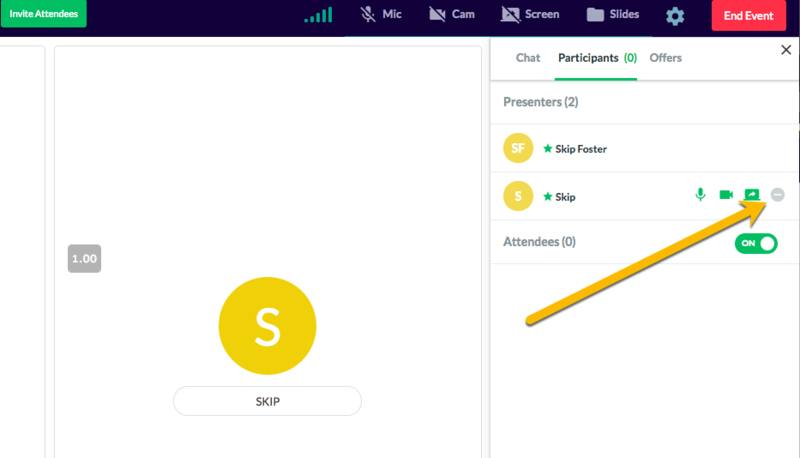 If co-presenter is no longer needed or the interview is finished you can remove them from the webinar room and kick back to attendee. This is a great option for team and client meetings.